We’ve found ourselves at a bit of a loss these last couple of days… Everything has gone to print (aaarrrgggg! ), designs for the next collection of sewing patterns have been finalised, and so our crazy whirlwind of work has come to a brief lull. Fortunately, Halloween is just around the corner, providing a welcome distraction and keeping our fingers busy whilst waiting out the calm before the storm. 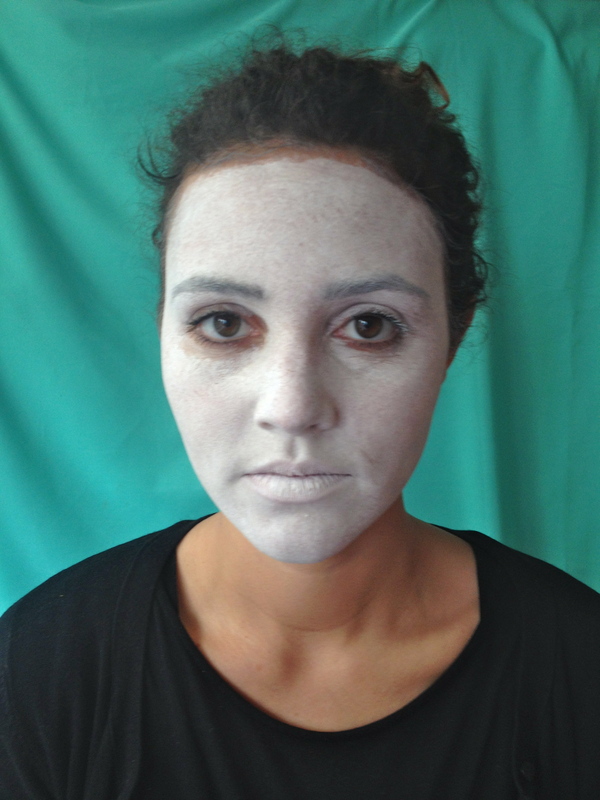 Using the thicker brush, apply an even white base. Paint the eye sockets and the tip of the nose black (at this point you may be looking a bit panda-esque, but not to worry, more is yet to come). 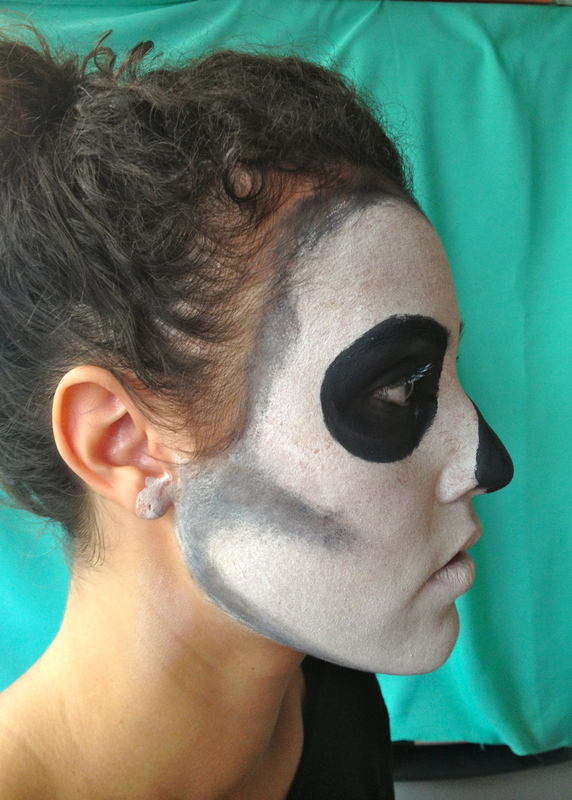 Create skull like shading around the outline and cheekbones, blending with your fingers. Using the thin brush, paint the centre of the lips and extend the lip line towards the cheekbones, adding lines for teeth. 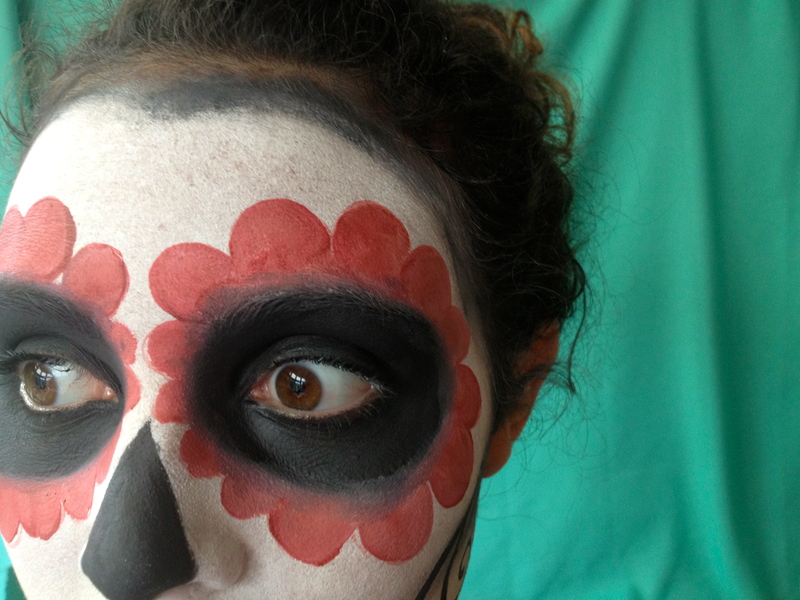 Switch to your red, and paint petals around the blackened eye sockets. Now fill the rest of the face using various patterns – we went for a mixture of swirls, dots and floral outlines. 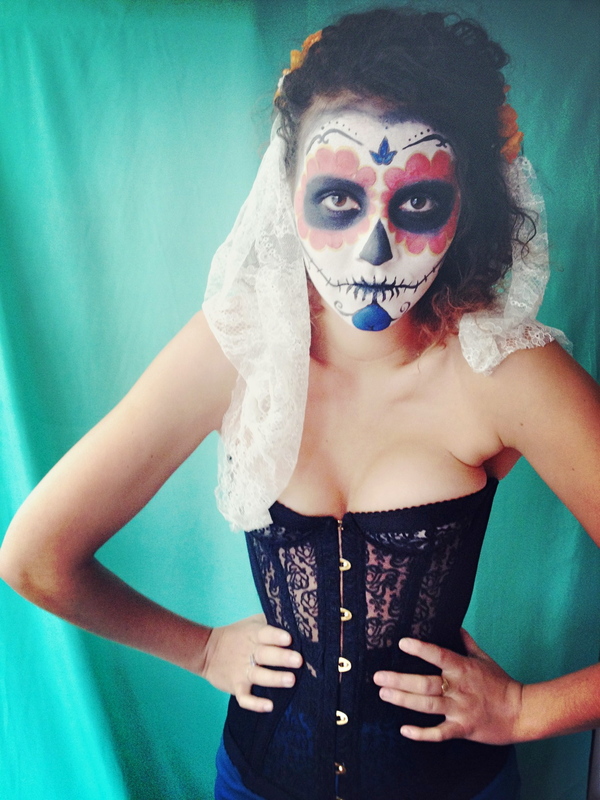 Espooki….come back tomorrow where we will be completing the look with floral and lace veil. Zoiks scooby! Well that woke me up out of my post lunch stupor and no mistake – looks ace though! I love how this is…dare I say it…pretty and scary at the same time! Great work! This looks amazing! 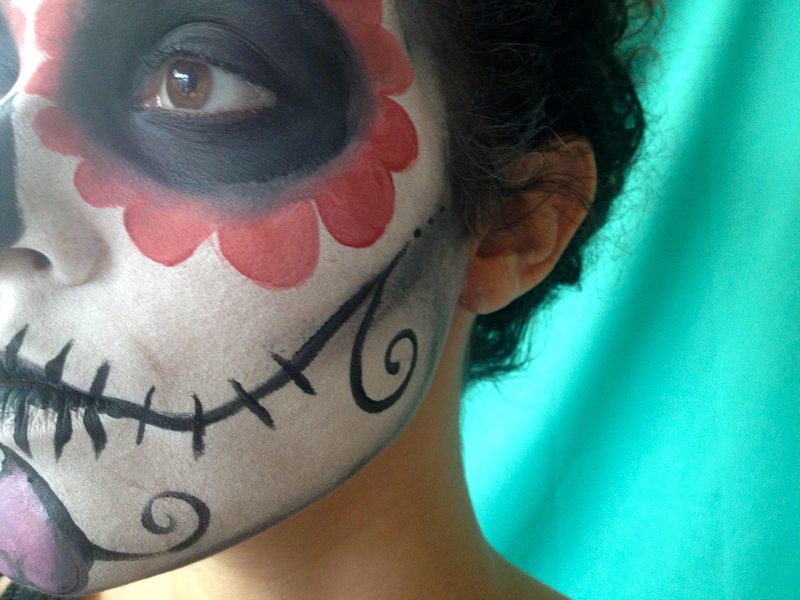 The petals around the eyes look so great with the black and white skull. 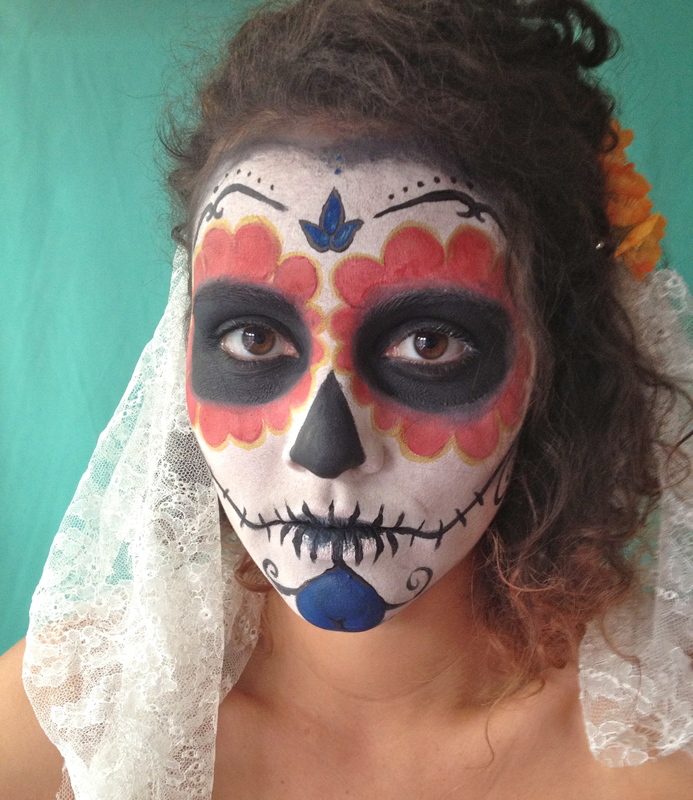 I love Mexican sugar skulls and Day of the Dead stuff, did you see the Tatty Devine collection from this summer? 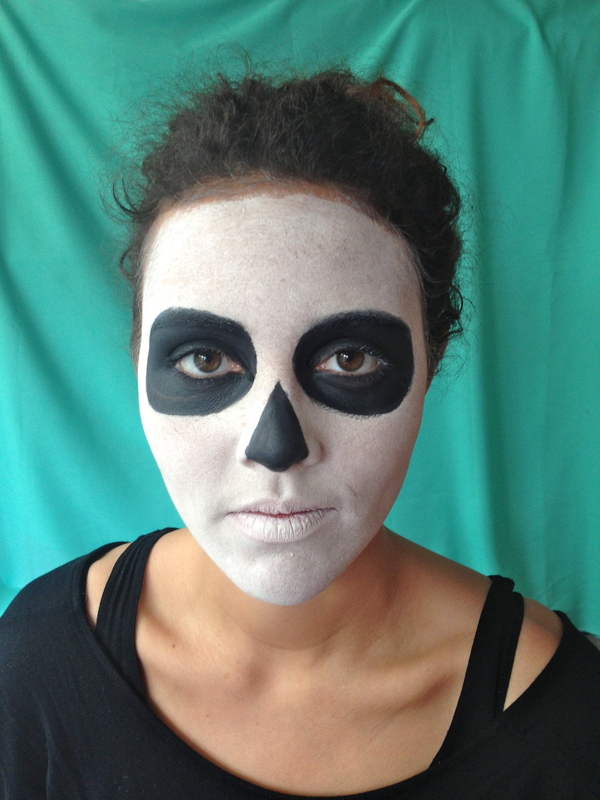 This entry was posted on October 25, 2012 by byhandlondon in DIY and tagged accessories, diy, halloween, tutorial.